No game survives contact with the players. I’ll be going back and making a few alterations in the previous Mass Effect articles to reflect what we discovered in playing the scenario I wrote up and we played through over the weekend. 1. We played at the Cinematic Level, I think it would work a bit better at the Adventurous level (30 character points, 40 skill points). Would make people have to work at things a bit more. 2. Fumbles on a roll of ‘1’ are a bit lame when you only have one dice to roll from a level one skill (for example). All ones should be considered bad or unfortunate, but not fumbles. 3. Letting people make dodge rolls against ranged weapons is a bit lame. Especially since it makes AGI the KING OF STATS. I think a set difficulty threshold of Point Blank/Short/Medium/Long/Extreme – 0/1/2/3/4 would work better. Someone capable of ducking and dodging would add 1 to that, a full on dodge (no other actions) would add 2 and soft/hard cover another 1-2. Otherwise someone with high dodge/AGI is, essentially, unhittable. Keep the Close Combat as normal. 4. Double the shield ratings (which is what I’m going to do, so if you look at the site now I’ll save you the bother by changing it). 5. All the weapons I’ve listed have a range of values. Half of the maximum should be considered standard-issue and the upper end is ridiculously powerful, high end gear. Keep that in mind when doling things out. For those of you who don’t know I have been very unwell for the last few weeks (depression issues). Re-playing Mass Effect 1 & 2 has been a very welcome distraction, something to occupy my brain and stop it turning on itself. That’s what the best kinds of fiction can do when you need it to, get you out of your own head into somewhere/somewhen else. Mass Effect has consistently hit the right notes for me in humour, in Science Fictional thinking and falling into a sweet spot somewhere just on the harder side of Space Opera. Yes, there’s a controversy over the ending but that is, in part, why I set about doing an RPG conversion of it. To help me make my own endings. To get to better grips with the universe and to prove to myself a little, after what amounted to a near-breakdown, that I still had the chops to hack a little system adaptation and writing again with less pressure than actually getting back to work. The conversion I have done works with the Heavy Gear 2nd Edition version of Silhouette, but most versions will work fine. You can buy and download HG2 HERE and it’s only a hair over $10 US. Bargain for a scalable, gritty system. HERE‘s a quick link to the Mass Effect tagged entries in this blog. I also keep an in-character play diary of my Mass Effect (and other) games over on G+, HERE. I haven’t played ME3 yet, but when I do – and have completed it – I intend to share my personal interpretation/version of the endings (the closure that’s missing) and my ideas on ‘what happens next’. Obviously there’s a lot of gaps in the game material I’ve presented here, but then there’s a lot of gaps in the game too. That’s just room for you to be creative. If you want a more Computer Game feel to the way the shields work, I’d double the regeneration and the total value, but I wanted them to, basically, be ‘one safe hit’ and nothing more. Once the Protheans, the Collectors – however many of them are out there – are now the pawns of The Reapers, controlled and dominated by them, rewritten, indoctrinated, implanted and controlled as a monitoring system on the development of life in the Galaxy. Collector’s can fly over short distances via Mass Effect and rudimentary wings. Collector Drones have a Mass Effect Barrier with a strength of 40 that regenerates like a shield. Collector Assassins have a Mass Effect Barrier with a strength of 40 that regenerates like a shield. Combat Sense 2, Small Arms 3, Hand to Hand 2. Armed with Assault Rifles that have the Warp Ammo effect on them. Collector Guardians have a Mass Effect Barrier with a strength of 80 that regenerates like a shield. The local Collector ‘General’ can assume direct control of any other collector. This infuses it with biotic energy and activates its implants, ‘supercharging’ it for up to an hour before it dies. +1 Str and UD, +1 HEA, +1 to all skills. Increase each health level by 10. Increase barrier by 40. All but extinct the Rachni are almost a complete mystery. Little trouble was taken to understand them, and no quarter given during the Rachni wars. The queen is at the centre of a hive mind, held together by singing. They are capable of ship-building and FTL travel and despite other limitatons are a fierce and implacable foe when roused. Rachni workers can explode as a suicide attack (or when killed) as a 5m radius, Intensity 6 toxic explosion. Rachni Soldiers can spit acid, which bypasses shields and does x25 damage. STR 2, HEA 1, STA 45 (42/65/110), UD 11 (Claw x26), System Shock 6. Brood Warriors can spit acid which bypasses shields and does x30 damage. The Queen can spit acid which bypasses shields and does x50 damage. The Queen is considered to have all skills at 3 and all Biotic skills at 3. Her Biotic Strength is considered to be 8. Standard husks, of whatever race, modify to have five armour, +1 AGL, -4 APP, -4 CRE, +1 FIT, -4 INF, -4 KNO, -1 PER. Husks can also emit a 5m radius, intensity 8 electrical burst that does double damage to shields. This also goes off when they die. Abomination Husks are identical, but release an intensity 9 fire explosion instead. 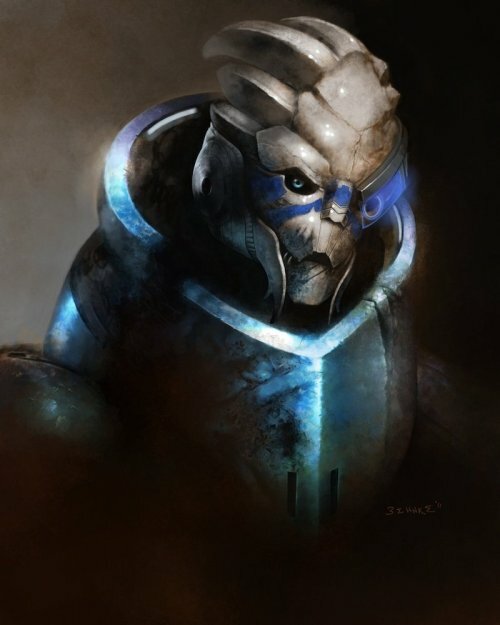 Banshees are statted as normal Husks, modified by Asari statistic modifiers, they have a Biotic Strength of 3. Their claws do AD+5 damage. They have the Charge power. They have the Shockwave power. They can hurl tracking, synthetic darts that do AD+5 damage at range with a +1 to hit. They also have the Barrier Power. Their skill level in all these powers is considered to be 2. Brutes are made by taking a normal Husk and modifying it by Krogan or Turian stat modifiers. They have an inherent 20 armour instead of 5 and their razor arm does AD+20 damage. Cannibals are made by taking a normal Husk and modifying it by Batarian statistic modifiers. They have an inherent 15 natural armour and a gun-arm which does x40 damage. Cannibals can devour/absorb a non-synthetic corpse to instantly heal a light wound. Marauders are made by taking a normal Husk and modifying it with Turian statistic modifiers. They have an inherent 10 natural armour and 20 points of shields. They carry assault rifles and gain the Small Arms skill at 2. Ravagers are created by taking a Rachni soldier and modifying it with the Husk stat modifiers. They have twin gun on a head mount that do x25 damage with a ROF of 1. When destroyed they unleash 1d6 swarmers. 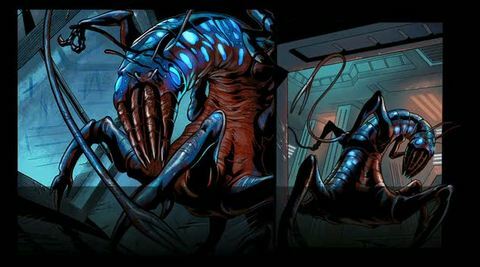 Swarmers are created by taking Rachni workers and modifying them with Husk stat modifiers. They explode when killed and otherwise bite. It takes a whole turn of effort to prepare a Tech attack and then it is unleashed on the following turn. AI Hacking (Electronic Warfare): The tech makes an Electronic Warfare roll against a target of 4 modified by the target’s WIL. EG: A WIL of -1 means a target threshold of 3. If they fail they are under control for a number of turns equal to the character’s Electronic Warfare skill level and also gain a shield boost equal to the EW skill level x10. Cryo Blast (Mechanics): The character makes a Mechanics roll against a Threshold of 5 to configure their omni-tool and then sprays a gust of cryogenic particles (as a Mechanics/AGI attack roll). This freezes the target for a number of turns equal to the threshold gained. Combat Drone (Electronics): The character spawns a floating drone out of forcefields and particles. This floats independently and has stats of zero. It attacks with a close-combat zap with a damage of 5 that does double damage against shields. It lasts for a number of turns equal to their Electronics skill total. It has 10/20/40 stamina and zero shields. It has a skill of 1 for zapping but can also lend aid in technical tasks, providing a +1 bonus to the user while it is operating. Incinerate (Mechanics): The character prepares a field bubble of plasma with their omni-tool and then unleashes it as a small-arms attack. It does damage as per a fire with an intensity of their Mechanics skill +3. A mechanics/AGI roll must be made to hit. 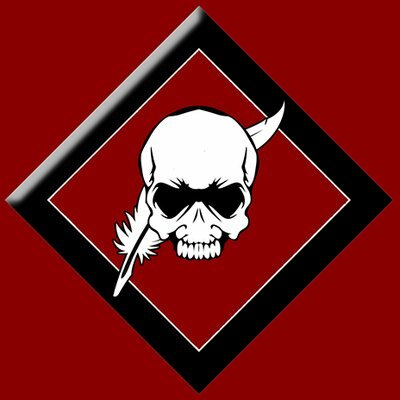 Overload (Electronic Warfare): The character targets a synthetic or a shield system and hacks into it, to cause it damage. They roll EW against the target’s EW do damage to shields or synthetics equal to their threshold x10. They need not have line of sight to do so. Tactical Cloak (Electronic Warfare): The Omni Tool creates a field around the user rendering them invisible, adding their EW level to their Stealth skill for a number of turns equal to their EW skill level multiplied by two. They can even hide in plain sight. Ammo Powers (Smallarms): Characters can use their omni-tool to single-load a shot as though they had specialist ammo. Biotics are natural telekinetic and other abilities that form through the interaction of Element Zero and the electrochemical nervous system of sentient beings. Without an amp the effects are tiny (take -5 away from their Biotic Strength) but with an amp they are raised to useful levels. Biotic powers are empowered with Biotic Strength which is calculated by adding together PSY and WIL and dividing by 2 rounding down. This is the number of turns between uses of Biotic Power it takes you to recover enough mental strength. Determine cooldown by adding FIT and WIL, dividing by 2 and taking the result away from 5 – the minimum is one meaning that, at most, you can only use a biotic power every other turn. Biotic Implants enhance and control a Biotic’s abilities, providing them with certain advantages. L1s are implanted after puberty. 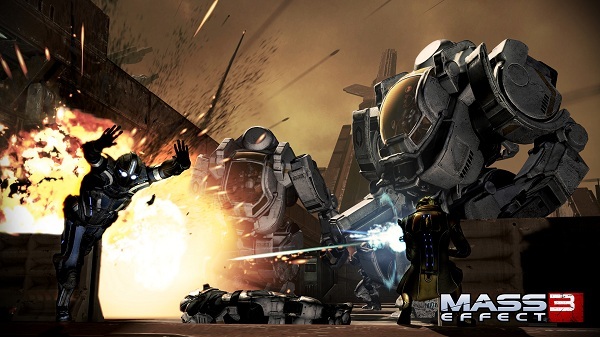 The implant increases their Biotic Strength by +1 to a maximum of 2. L2s are unpredictable. They increase Biotic Strength by +2 with no limit, but the implanted lose -1 FIT due to the side effects, headaches and pain that they cause. L3 implants grant +1 Biotic Strength with no side effects. L4 implants are tied with a VI program to regulate and smooth out spikes of power. They provide a +3 Biotic strength bonus with no side effects. L5 implants are top of the line, current, modern systems. They provide a +2 Biotic Strength bonus without the need for a moderating VI. Amps are tools through which Biotic powers are moderated, controlled and fine tuned. They come in ten grades, from basic to elite status and are highly expensive and specialist pieces of kit. Increase Biotic Strength: 2 for 1. Decrease Cooldown: 2 for 1. Provide a bonus to a particular Biotic skill: 1/1 (Max +5). Barrier – Throws up a shield, just like a force-shield, with protection equal to your Biotic Strength x 20. It does not regenerate and must, rather be ‘re-cast’. Charge – You can ‘instantly’ move a number of metres equal to double your Biotic Strength, in addition to your normal move. If you choose to barge into someone determines unarmed damage/armed damage by adding your Biotic Strength as well. Dominate – You can mentally take control and puppet another sentient being for a number of turns equal to your biotic strength. Roll your dominate skill against a threshold of 3+WIL to try and take control. A controlled individual gains a Barrier of a strength equal to 10x your Biotic strength. Pull – Cannot be resisted but the target’s BLD+3 is the threshold for success. If successful they are hurled into the air to float for a number of turns equal to your Biotic Strength. 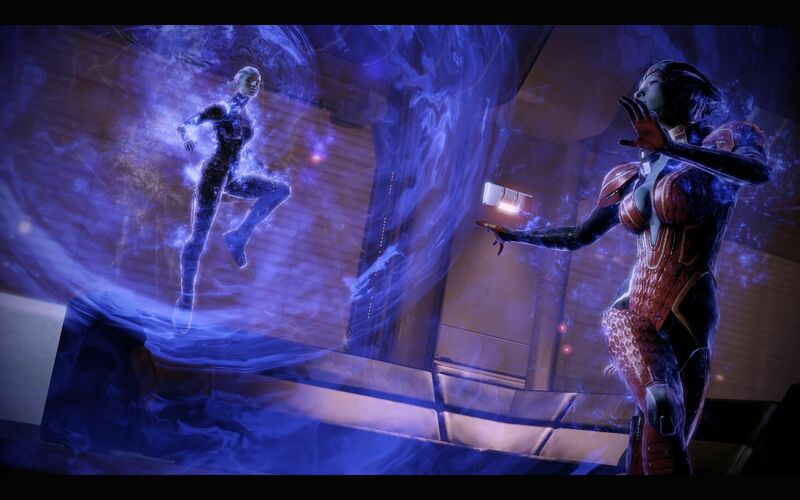 Reave – A direct neurological attack using mass effect fields this does damage with a Biotic Strength x3 multiplier and does double damage to barriers and shields. Shockwave – Shockwave creates a series of Mass Effect ‘explosions’ in a path in front of you for Biotic Strength x3 metres, two metre wide. Anyone caught in the effect takes a Biotic Strength intensity attack and must roll against a Threshold of your Biotic Strength or be knocked off their feet. Singularity – Singularity attempts to drag everyone within Biotic Strength metres towards it, clumping them together. They can resist by rolling Strength against a Threshold equal to Biotic Strength. Slam – Slam lifts, then smashes a target into the ground. It can be resisted with a STR roll against a threshold of Biotic Strength. It does damage equal to triple Biotic Strength in intensity. Stasis – Stasis attacks, resisted by STR against a Threshold of Biotic Strength, freeze a target in place but also renders them immune to damage. The stasis lasts a number of turns equal to Biotic Strength. Throw – Throw launches enemies backwards or into objects. Roll Throw skill against a threshold of BLD+3 to hurl back Biotic Strength x2 metres. If they hit anything on the way they take a Biotic Strength intensity attack. Warp – Warp does basic Biotic damage on a successful hit but also distorts spacetime, weakening the effectiveness of an enemy’s armour, reducing it equal to Biotic Strength for a number of turns equal to Biotic Strength. Warp Ammo – The biotic can enhance their weapons with a biotic warp field. Increase the damage of the weapon against barriers and armour, but not shields, by their Biotic Strength. The ‘enchantment’ lasts for a single turn.